We offer a full range of professional services with our team of experts. 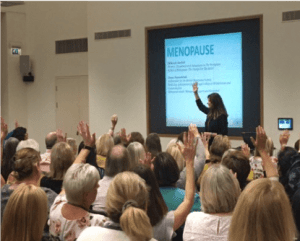 This helps you to develop the right menopause training, awareness and education, policies and practices for your organisation, guiding your strategic approach, planning and delivery. We make it easy to do what’s right for your business and colleagues. Our events for HR professionals and business leaders have been rated as 5* by those who have attended our sessions across the UK. Our expert speakers give a clear overview of menopause, employment law, how to implement effective policies and practices, line manager and employee training, and communication and engagement. We include case studies from organisations who have already started to experience the benefits. These events give you a head start, along with the resources we provide afterwards. And our expert team and best practice toolkit can help you. Business leaders, occupational health and HR professionals benefit from our training, which is tailored to your specific business. This includes 'train the trainer' sessions to help you embed menopause into business as usual. We can help you identify how your organisation can support your employees, the most appropriate reasonable adjustments, assist with your planning and help with your employee communication and engagement. All promoting an environment where everyone can talk about menopause openly. What menopause is and how to recognise the symptoms. How they can support a woman experiencing symptoms including reasonable adjustments. 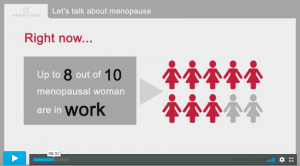 How to have good conversations about menopause. What menopause is, how to recognise the symptoms and how they may be affected by it. The options available to manage their symptoms and long-term health. What support is available and how to access it, both at work and outside work. Our comprehensive best practice communication and engagement toolkit includes videos, leadership packs, brochures for employees and online resources, which can be tailored specifically to your organisation. We know that every organisation is different. Using our expertise and experience, we can help you create the best menopause awareness campaign for your business. 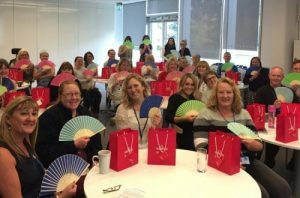 This strengthens your employee offer and enables you to experience all the benefits raising awareness and education of menopause can bring. Get in touch to find out more about what we do and how we can help you. We look forward to talking. Contact our menopause experts today. The latest research and case studies.